Soho Farmhouse – the Cotswolds outpost of the world-famous Soho House – is holding a recruitment open day next week. 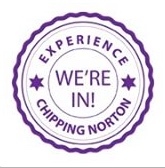 The members’ only club at Great Tew, which will open later this spring, is recruiting for staff – so it will hold the open day at Chippy Town Hall on Wednesday 22 April between 12pm and 6pm. 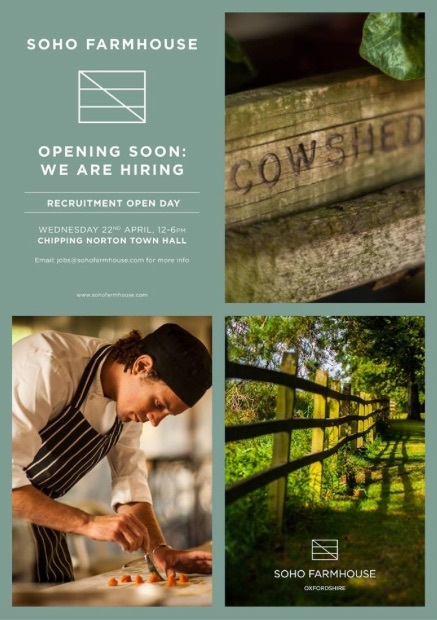 This entry was posted in advert, news and tagged Chipping Norton, employment, Great Tew, jobs, Oxfordshire, Soho Farmhouse, Soho House, Town Hall. Bookmark the permalink.